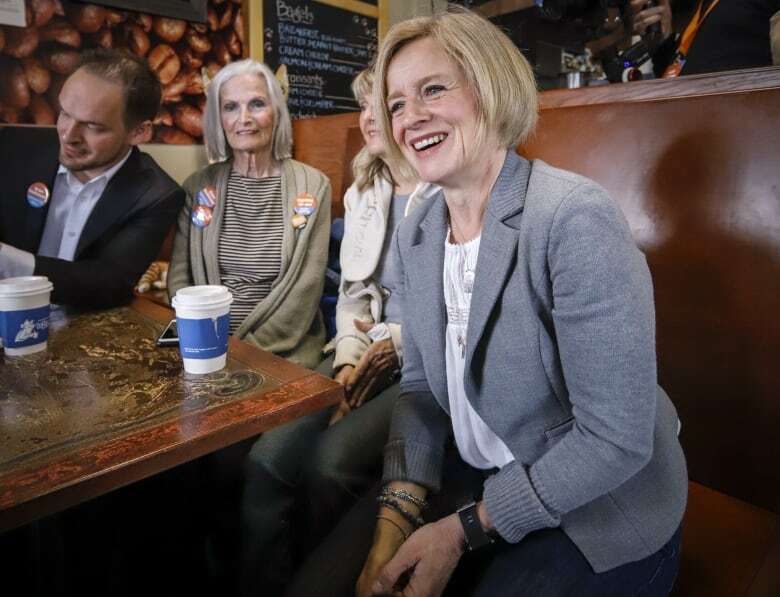 More than most, the current provincial election campaign in Alberta has shaped itself around opposition to the federal government. 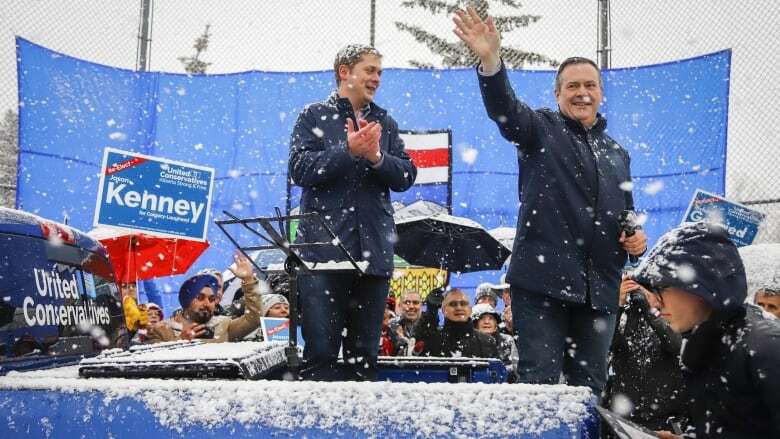 Alberta is friendly turf for the federal party leader — even when the weather isn't. The two stood on the back of a pickup truck in the middle of a baseball field Thursday, with the snow falling so heavily that a few hundred supporters stood caked in a layer of white. "Are you ready in five days to end the Trudeau-Notley alliance?" Kenney thundered as the crowd roared its approval. "I'll make you a deal right now," Scheer told the crowd. "This Tuesday, you all take care of the first part of the problem, and I will do my bit, and come October … we'll make sure that Justin Trudeau is a one-term prime minister." Scheer doesn't stand to gain much in Alberta from his alliance with Kenney. 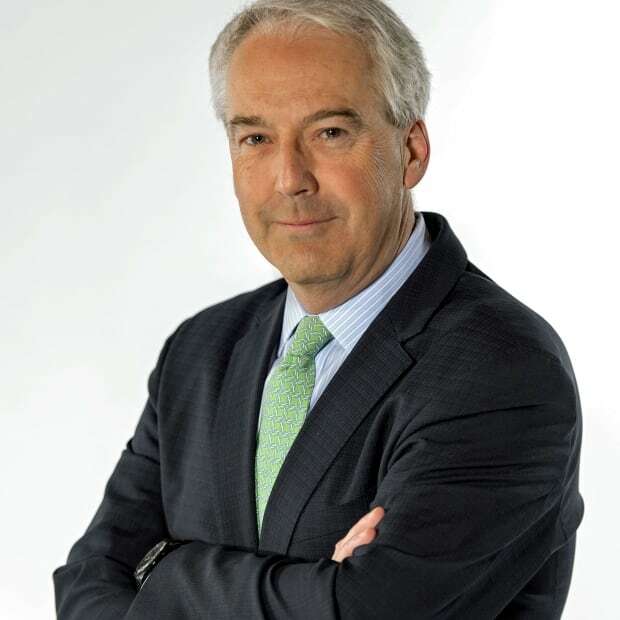 The province has been federal Conservative bedrock ever since Trudeau's father introduced the National Energy Plan in the 1980s. Even a sweep here in the fall would give Scheer only a handful of new seats. So he's in Calgary for another reason. Scheer wants another Conservative premier to join the ranks of those already opposed to any carbon tax, another premier willing to take Ottawa to court over the issue, and another ally willing to campaign against Trudeau's Liberals from now until the federal election this fall. Defeating Notley is the first step in achieving that goal. Polls suggest Kenney's United Conservative Party holds the lead heading into the final weekend of the campaign. But Notley's used to being the underdog. She wasn't supposed to win four years ago. And she's not conceding anything this time around. "What I have done is stood up for Albertans since day one," Notley said in an interview airing Saturday on CBC's The House. "It's not about political grandstanding for a political narrative, which is definitely the rabbit hole Kenney has gone down. It's actually about doing determined advocacy, not only to the federal government but to all Canadians, in order to use every lever at our disposal to pressure the federal government." Has the federal bill banning tanker traffic off B.C. 's northern coast been "thrown in the garbage," as Notley recently called on the Senate to do? No. The repeated blows to Alberta's once-powerful economy have rekindled the feelings of 'western alienation' that helped fuel the rise of the Reform Party way back in the early 1990s. "You know, there's a lot of land between here and Ottawa," said John Guelly, of the Alberta Canola Commission. He and other canola farmers are trying to cope with China's recent ban on Canadian canola seed exports. Guelly said he's not sure the politicians back in Ottawa really understand what's happening to them. "Sometimes it's a perception and sometimes it's the feeling that we are a long way away from those making the decisions." Guelly isn't saying who he'll vote for on Tuesday. He said he and many other farmers will be looking for the candidates and parties paying the most attention to the plight of agriculture, the province's second largest industry. Political scientist Lori Williams teaches at Mount Royal University in Calgary. She said pipelines have become a kind of catch-all election issue for Albertans, a place for them to park all the anger and anxiety they feel about the struggles of the energy sector, the massive job losses there — and the fear that the province's economy may never fully recover. "Included in the word 'pipelines' is the economy and jobs," she said. "And I think most of the other issues are secondary to that." Don't expect the prime minister or Mulcair's successor, Jagmeet Singh, to be embracing change in Alberta in this election. That will be Andrew Scheer's message. His challenge will be to make it resonate across the country, beyond the borders of Conservative-friendly Alberta.